Diamond encrusted 2 row full eternity ring, set with 2 carats of round brilliant cut diamonds across a 4.6mm wide band. This stunning Eternity Ring features a breathtaking double row band that is fully set with Round Brilliant Diamonds. Each Diamond has been expertly matched and graded F/G Colour and VS Clarity prior to setting. 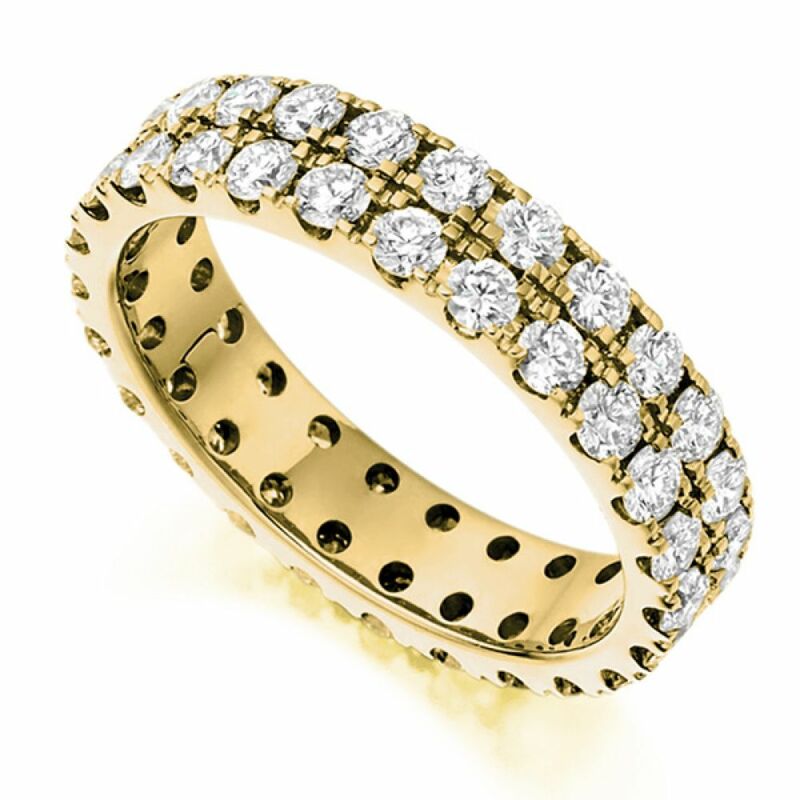 The band itself is 4mm wide for a stunning impact on a total of 2 carats in Diamonds. With the added reassurance of 60 days returns, lifetime warranty, and detailed insurance valuation this finished ring can be with you within 4 weeks by insured signed for delivery. Available in a range of precious metals including 18ct White Gold, 18ct Yellow Gold, 18ct Rose Gold, 950 Platinum and 950 Palladium.